In this handmade collaboration, a shy wolf tries to befriend a group of hip, party-loving bunnies but finds her body is in revolt. 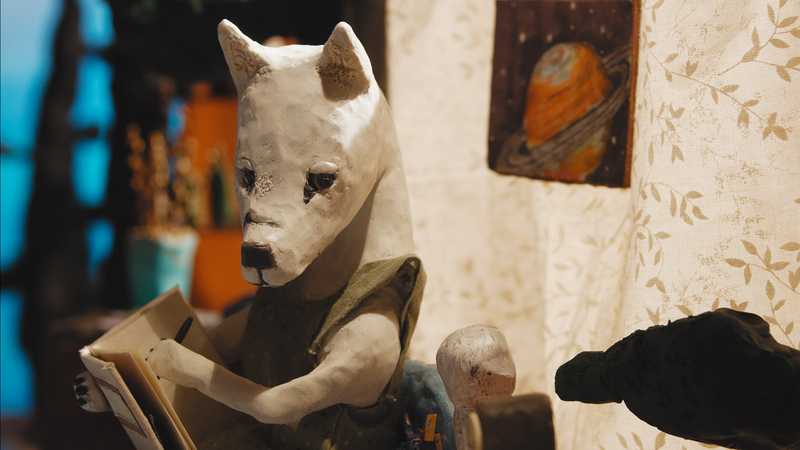 A collaboration between writer/director Dianne Bellino and animator Adam Davies, Sundance film festival pick The Itching is a stop-motion fairytale centred around anxiety, vulnerability, and imperfection. The story of a shy, introverted wolf trying to find her place in the world, this 15-minute animated short is an emotional viewing experience open to multiple interpretations depending on how you choose to read the film. Looking to entertain their audience and make them laugh, whilst also landing an emotional impact, Bellino admits she wanted to “reach out to viewers instincts, emotions, and subconscious”, when creating The Itching. “Part of the ‘mission’ was just to try to connect with other people on that level of instinct and emotion over logic”, the director reveals. “Not that there’s anything wrong with logic. But we were hoping to aim for the veins with this one”. 7-years in the making, with just Bellino and Davies working on the animation in a basement in Portland or a studio in Brooklyn, the pair took a real do-it-yourself attitude to their filmmaking, putting to use low-budget equipment (DSLR cameras, desk lamps etc) to create The Itching. “All this informality and messiness meant that we could really concentrate on the the film with minimal distractions” admits Bellino. “My relationship to Adam was more like a director to an actor, rather than a director to an animator, in the sense that we got very deep into discussions of the wolf’s character and her feelings and actions before every shot. And we both worked really hard (through tests, research, and endless discussions) to come up with a style of animating – those little dots that fly over wolf’s face and the general rawness of the look – that we felt would convey both the tone of the film world as well as the wolf’s interior consciousness”. Now working on new projects – Bellino a live-action dramatic short called Strawberry Shake and Davies a hand-drawn fictional documentary about a cheetah – I’m sure we’ll see more from this talented pair of filmmakers in the future – lets just hope we don’t have to wait another 7-years.